All the news from Château Grand Boise. High-altitude (up to 1,800 feet) mainly north-facing vineyards give this wine its intense character. It is crisp, tight, mineral and concentrated. Acidity cuts through, making this wine right for seafood and spicy Asian cooking. The aftertaste continues this fresh, textured character. The top rosé from old vines at Grand Boise, this is a ripe, well-structured and balanced wine. The fruit is right up front, raspberries and red plums along with a lightly herbal element. The high-altitude vineyard (up to 2,000 feet) gives a cool, crisp aftertaste to this impressive wine. « Blackcurrant, blackberry, blueberry, cherry, peony, mocha, it’s an true aromatic explosion in the mouth. Fresh, dense and generous, with fine tannins. Full-bodied and long, this wine has charm. This is a big, rich and extracted wine. The tough tannins need to soften further, with a powerful core of dryness. As it develops, the wine will reveal more of the rich red fruits and juicy final acidity that are there. Drink from 2017. This structured, ripe wine shows great potential. It has spicy red fruits, blackberry and currant flavors and a dense, tannic structure. Juicy acidity gives freshness at the end. Drink from 2017. Herbal and fruity aromas lead into a ripe, while still dry wine. Mint and spice characteristics goes with the red-plum fruits to give a textured wine that also has some weight. The aftertaste is perfumed and crisp. This is a perfumed, rich and balanced wine, with yellow fruits cut by fresh lemons. A light tangy texture gives an attractive lift. Drink now, although the wine will be better from late 2016. This is a fresh, strawberry-flavored wine with a crisp, dry aftertaste. An attractive tangy character gives life and brilliance. Ready to drink, it is a real apéritif wine. Passion Palaces, the « Palaces of the French Riviera » group magazine, is disbributed in all rooms and suites of the palaces of the Riviera, from Saint-Tropez to Monaco. In the Summer 2014 issue, Passion Palaces magazine put the focus on Rosé wines. « Among the multitude of rosé wines available around the world, I feel the Provence region is where the finest of these wines is produced. What I look for in a rosé is nice freshness, a richness of fruit, and great aromatic elegance. It also needs to be refreshing. Rosé wine can be enjoyed at any time of the day – as an aperitif, accompanying a meal, but also during the afternoon. Rosé is the ultimate summer wine and the perfect companion for good times spent around the barbecue, at lunch, and even for gourmet dining. Of the numerous wine estates in Provence, my favourite this year enjoys a stunning location facing the Sainte Victoire mountain near Aix en Provence, in the Trets district: the Chateau Grand Boise. They produce wines of all three colours, of which two are rosé. Their vineyards, worked organically, are situated at altitudes of between 300 and 640 meters on clay-limestone and pink marble which all contri¬butes to their rosé wine’s pleasant freshness and aromatic palette. … November 30 – December 1, 2012. Château Grand Boise is to be found at Espace Dégustation n° 49 (Tasting area 49). 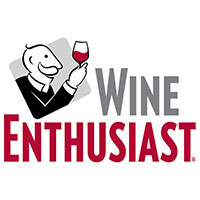 Château Grand Boise will be present at the 2012 Vinisud, the International Exhibition of Mediterranean Wines and Spirits, February 20-22, 2012. … December 2 & 3, 2011. Château Grand Boise is to be found at Espace Dégustation n° 89 (Tasting area 89). Passion Palaces, the « Palaces of the French Riviera » group magazine, is disbributed in all rooms and suites of the palaces of the Riviera, from Saint-Tropez to Monaco. Vernissage: 7th april at 6:00 p.m. Please, come and meet us at the first exhibition « MADE IN PROVENCE ».